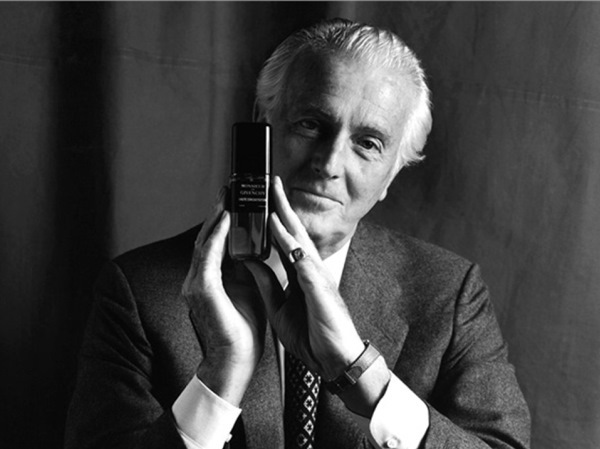 The great couturier Hubert de Givenchy passed away at the age of 91 on March 12th. It’s fitting that in remembering him every obituary mentions his collaboration with Audrey Hepburn. It was thanks to her that he found fame, recognition, and a chance to design the wardrobes of Jackie Kennedy Onassis and Princess Grace of Monaco. Today we take for granted celebrity endorsements, but in the 1950s it was novel. Yet, the collaboration between Givenchy and Hepburn was different from today’s business ventures between Hollywood stars and designers. The duo inspired each other, serving as each other’s muses. 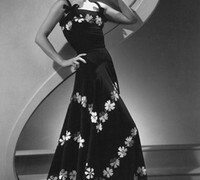 Givenchy’s clean, elegant lines and innovative techniques left a lasting imprint on fashion. The decisions of fragrance houses to reach into their archives tend to elicit mixed feelings in me. While getting a whiff of a 1920s boudoir or a 1950s cocktail party seems like an intriguing proposition, the past cannot be resurrected in all of its complex and intricate detail. The reissued fragrances would inevitably differ from their predecessors either due to commercial (change in tastes) or practical (disappearance of raw materials) considerations. At worst, the juice in the bottle would have little to do with the fragrance that supposedly inspired it. Thankfully, the recent reorchestration of Baghari respects the Robert Piguet tradition, resulting in a fragrance that combines modern radiance with neoclassical softness. The breeze entering the windows suddenly brings a scent of something bittersweet and sharp. A wave of melancholy overcomes me as I noticed the yellowing leaves and the chill that forebodes the change of seasons. I want to hold onto the time as it passes, and the best way to do so is to envelop oneself in a fragrance that speaks of another era. Created in 1947 by Francis Fabron, the perfumer responsible for such fragrances as the original 1957 version of Givenchy L’Interdit, Monsieur de Givenchy, and Nina Ricci L’Air du Temps, Balenciaga Le Dix is like a beautiful vintage dress that has lost none of its splendor, despite the passage of time. In fact, time only adds to its beauty. Givenchy L’Interdit was created for Audrey Hepburn in 1957 by Francis Fabron on a commission from her friend and a famous couturier, Hubert de Givenchy and subsequently discontinued in the 1990s (in the US only, by all accounts, as it was still available in Europe). The House of Givenchy decided to reintroduce the fragrance in 2002 while reformulating it in order to make it more appealing to the younger generation. While Jean Guichard and Olivier Gillotin are talented perfumers, the outcome is a pleasant fruity-floral, well crafted, but not particularly memorable. 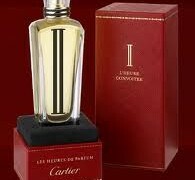 As for the original L’Interdit, it was a fragrance of elegant beauty, with a playful side. The opening notes are of aldehydes paired with bergamot, which soften considerably as the fragrance is allowed to meld into the skin and reveal soft peach and strawberry–ripe fruit warmed by the sun–on the floral backdrop of rose, jasmine and iris. The floral notes are not distinct, instead presenting a beautiful swirl of abstract shapes, with the edges blurring into each other. Yet, above this refined melody, spicy carnation adds some pleasant honeyed warmth, thus enhances the floral voices. Matte glow of amber paired with the earthy opacity of vetiver forms an elegant base upon which the floral notes recline, veiled by a powdery mist. Photo: Paramount Pictures publicity still, 1956. audreyhepburn.com.